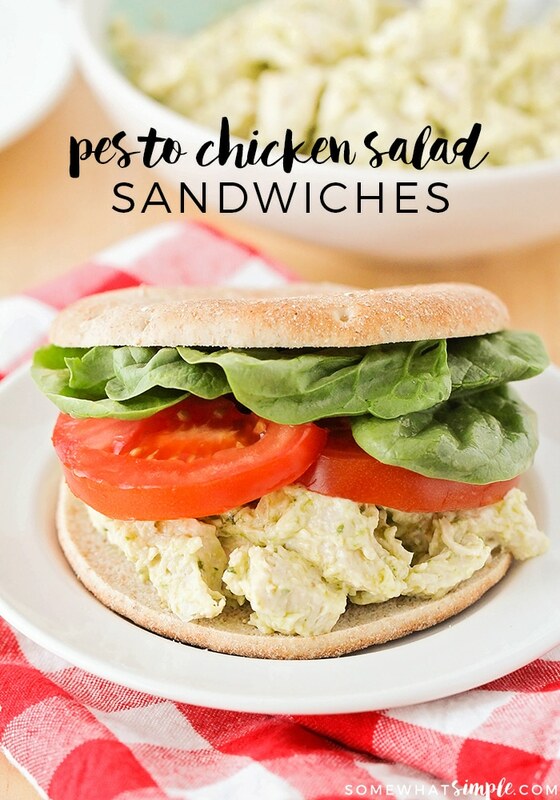 This pesto chicken salad sandwich recipe is so simple and easy to make, and healthy too. It’s the perfect make-ahead lunch for a busy day! With all of the fun adventures we’ve been having this summer, I definitely don’t want to spend all day in the kitchen! 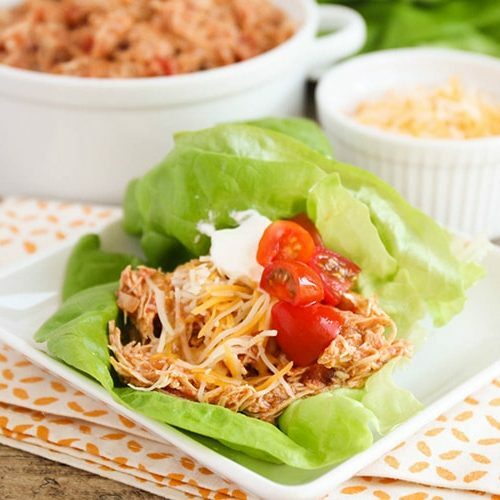 We’ve been loving easy and quick lunches that we can prepare in advance. It’s great to be able to pull something delicious and healthy out of the fridge, instead of resorting to our default PB&J sandwiches. 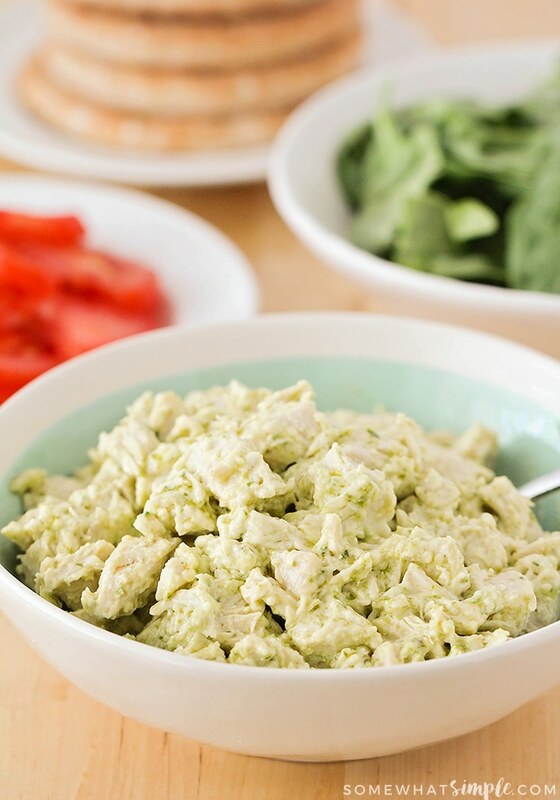 This pesto chicken salad recipe is one of my favorites, and my kids love it too! 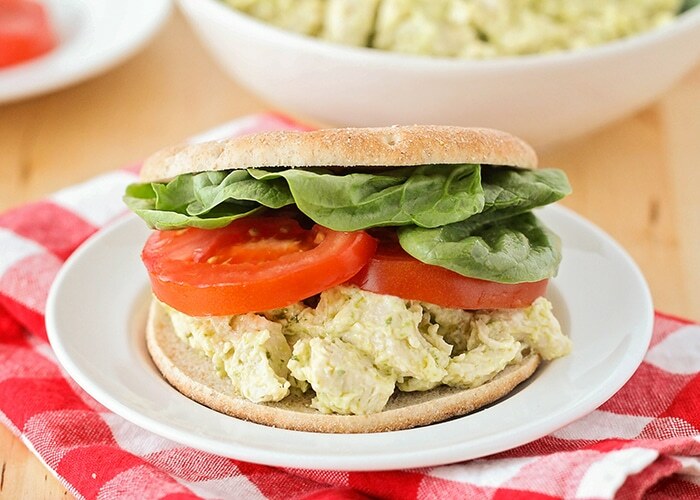 The chicken salad sandwich recipe takes just a few minutes to mix together, and keeps in the fridge for at least a week. I usually make a big batch at the beginning of the week, and it makes planning our lunches so much easier. Add some fresh tomatoes and baby spinach, serve it on a whole wheat sandwich bun, and it’s a delicious and healthy lunch! 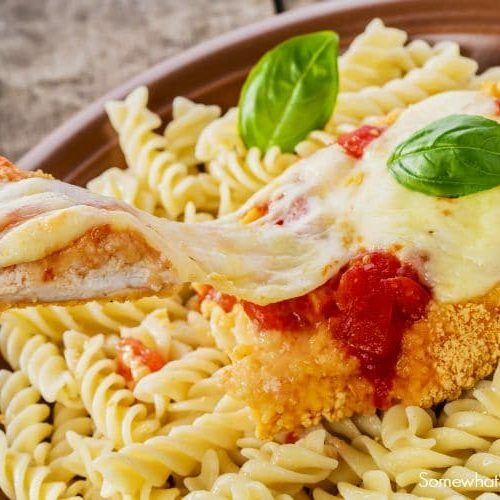 In a medium bowl, mix together the chicken, mayonnaise, pesto, and parmesan cheese, until combined. 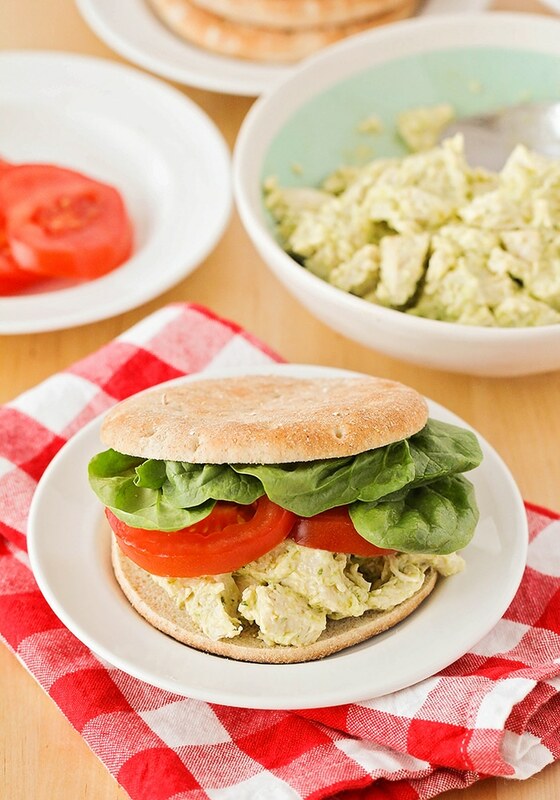 To assemble the sandwiches, scoop 3/4 cup of chicken onto the buns, then top with tomato slices and baby spinach. Serve immediately and refrigerate any leftover chicken salad. 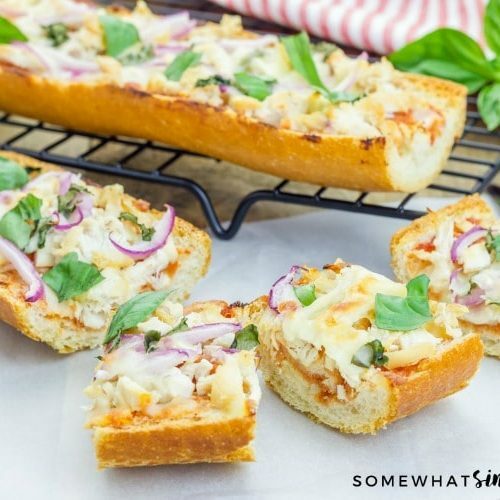 For more delicious and easy sandwich recipes, check out some of our favorites below! I could not open the recipe for the pesto. Unfortunately, the site I used for my the pesto recipe no longer exists, so I had to remove the link. Any pesto sauce will work great in this recipe!